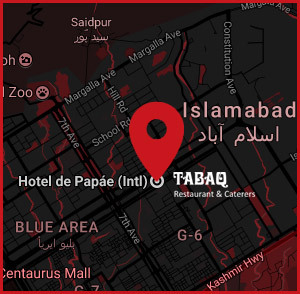 Located in the city’s bustling business district – 20 minutes from the airport, in the heart of Islamabad, the distinctive Hotel ḏe Papáe welcomes both business and leisure travelers. As you will see from the moment you arrive, our hotel offers striking views of the Margalla Hills as well as the natural beauty of Islamabad. Each of Hotel ḏe Papáe’s 43 guest rooms is tastefully decorated with handcrafted furniture, marble bathrooms, and classic fixtures. Each room is also equipped with state of the art conveniences that make conducting business in your room truly a pleasure.
" We at Hotel ḏe Papáe have an unwavering commitment to the art of hospitality management. From check-in to check-out, our job is to give the guest more than their money’s worth, and we take our job very seriously as we are here to serve and serve only "